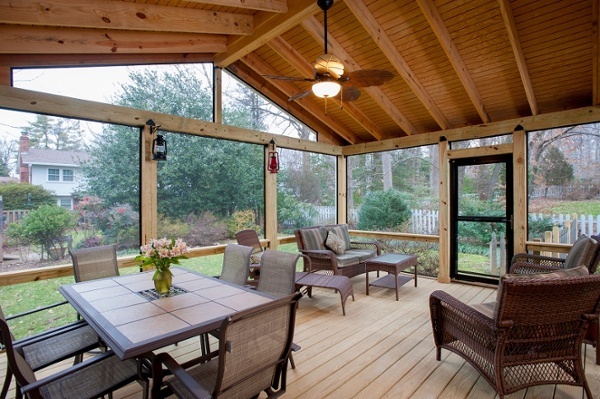 Professional screen porch contractor in Fairfax, VA with SCREENEZE. 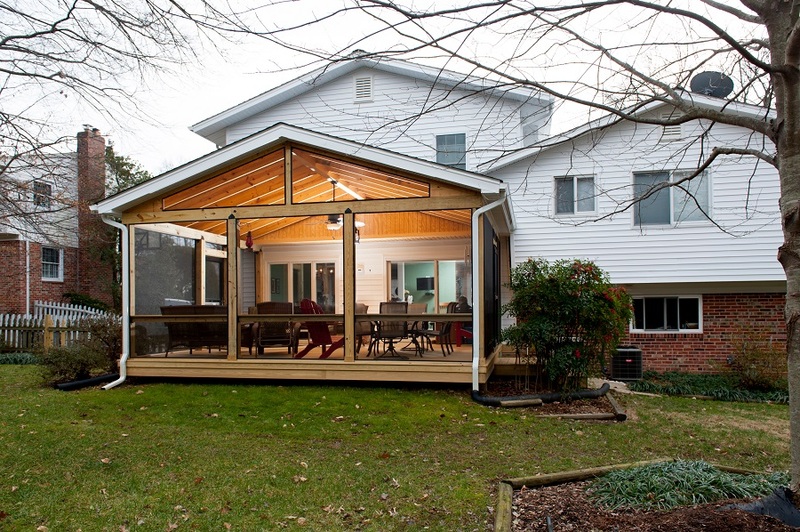 This addition and screen room project spanned the course of three months. 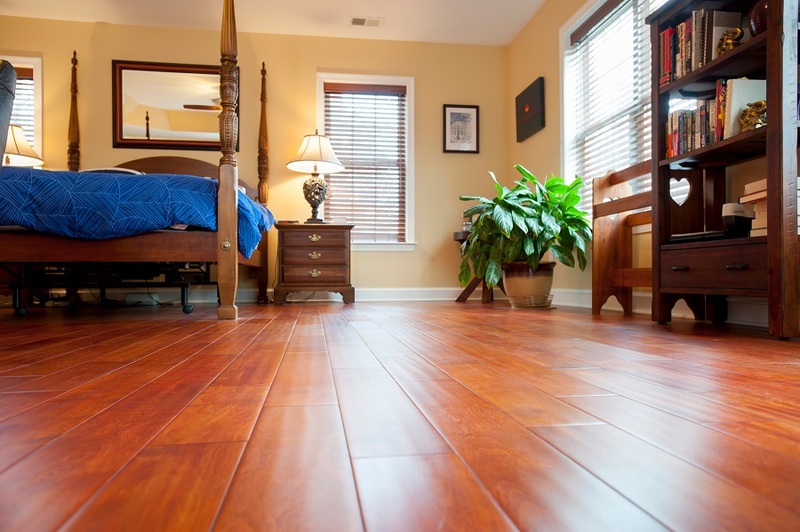 It involved adding an entirely new floor to the house in the form of a split-level pop top addition where the new master bedroom, master bathroom, and two walk-in closets are housed. 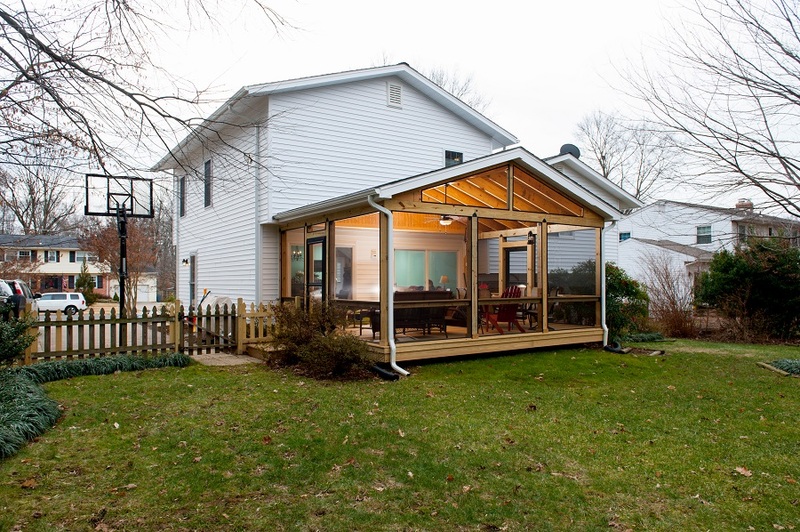 Downstairs, the kitchen was remodeled and a pressure-treated screened-in porch was erected. The homeowners were displaced for a mere two weeks during the entire construction period. The 20' by 16' screened porch was constructed with pressure-treated wood decking and a free standing, pressure-treated frame. 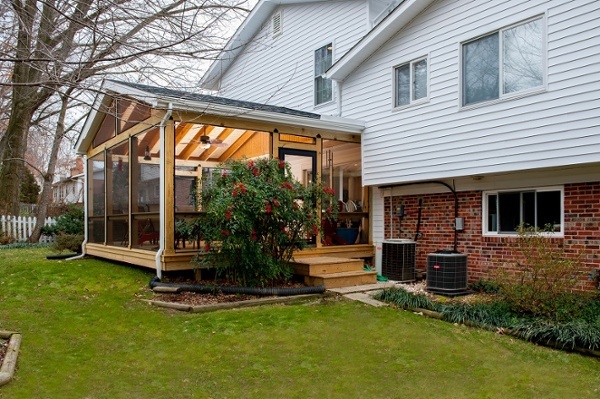 It was screened using charcoal fiberglass screens mated to a SCREENEZE screening system that was installed in all of the rooom's open bays. Exposed pine rafters support the T111 wooden ceiling, while perimeter divider rails protect the screens and provide additional surface space. 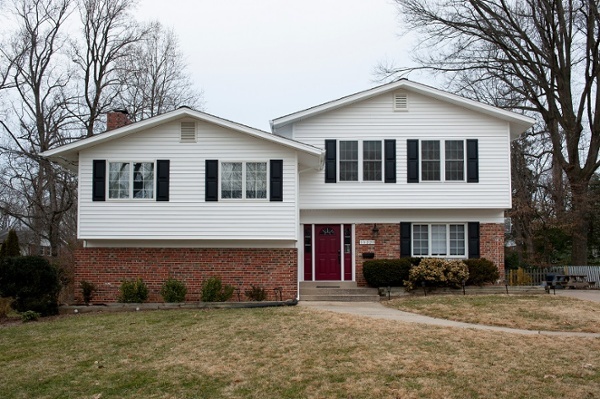 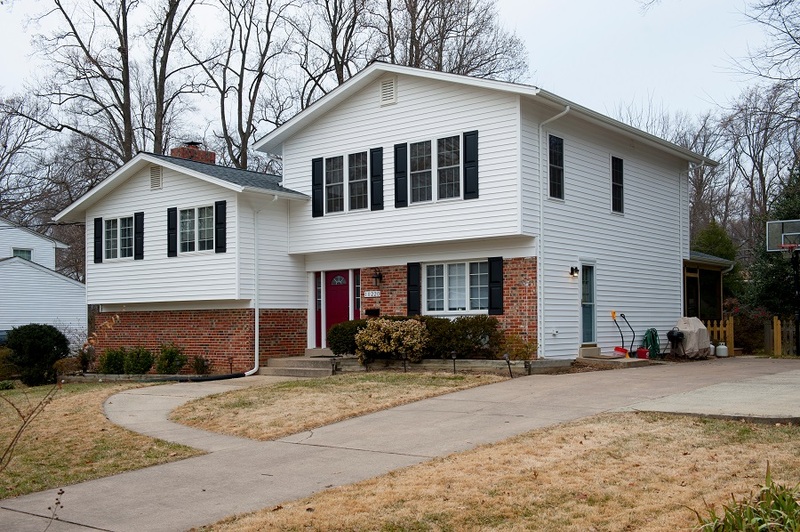 Other exterior work included placing new white siding around the house along with modern shingles. 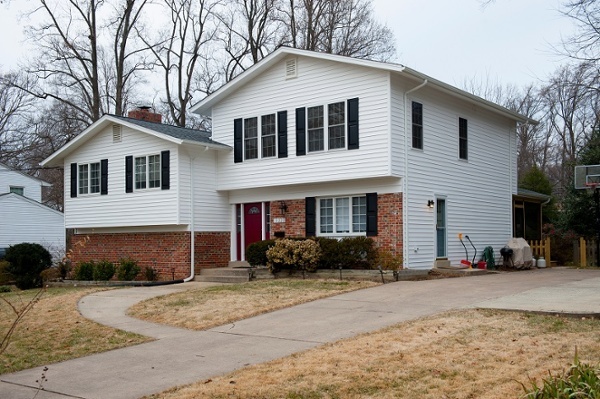 In addition to promoting a material and visual consistency, it contrasts pleasantly with the screen room's black Larson storm door and black Deckorators rails that in turn match the home's black shutters. 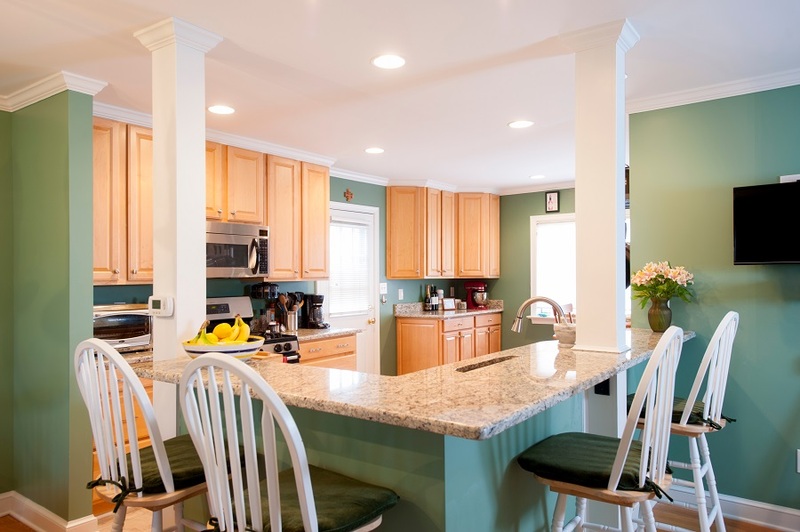 Inside, the kitchen remodel consisted of tearing down existing walls that were separating the area from the dining room. This was done to open up the floor plan by allowing the walls to be replaced with two columns and raised granite counter that doubles as a bar seating area. 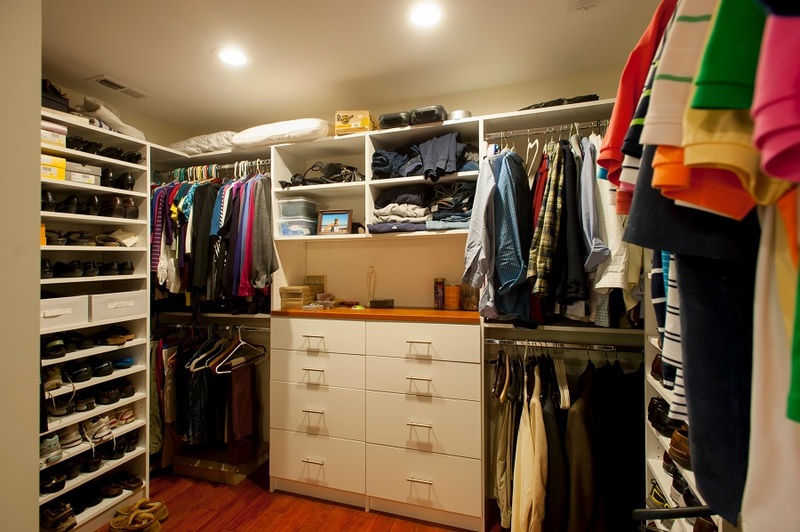 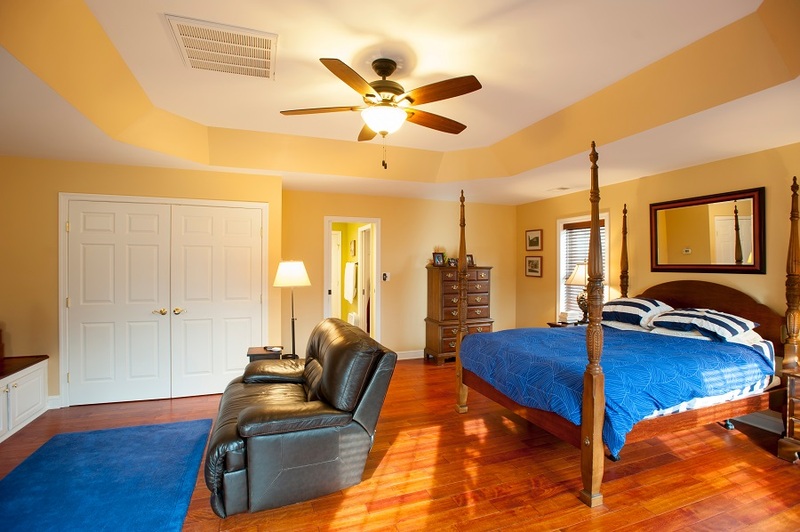 The master bedroom suite features a laundry closet, a master bathroom, and two walk-in closets. The bedroom itself boasts gorgeous Brazilian Cherry hardwood floors, a tray ceiling, and windows that let in plenty of natural light. 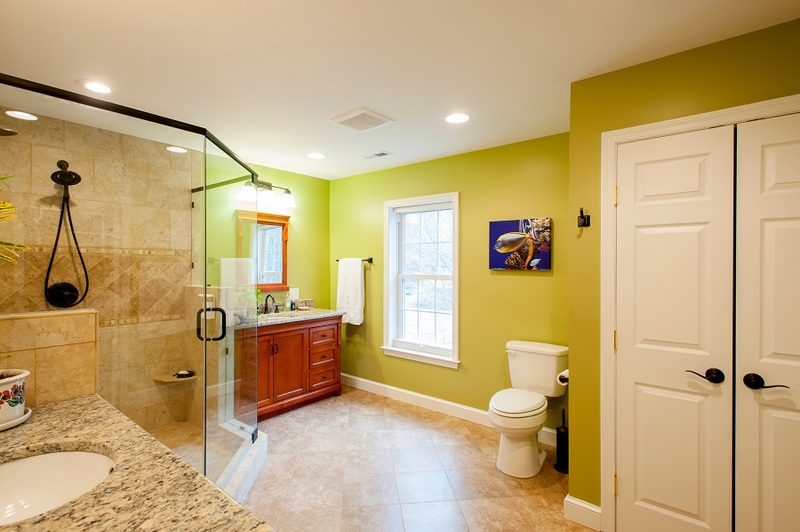 The adjacent bathroom features divided sinks and a large shower designed by Design Builders. 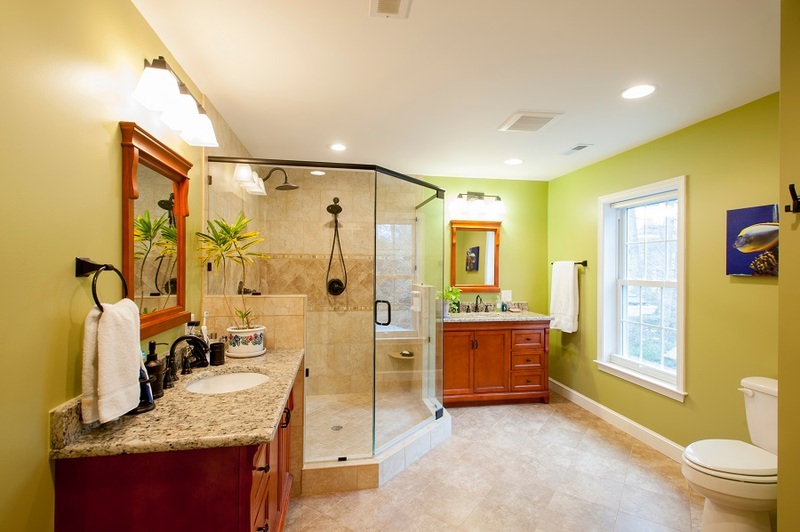 Other features include a frameless glass shower door that swings both in and out, heated ceramic tile floors, and a spacious linen closet.